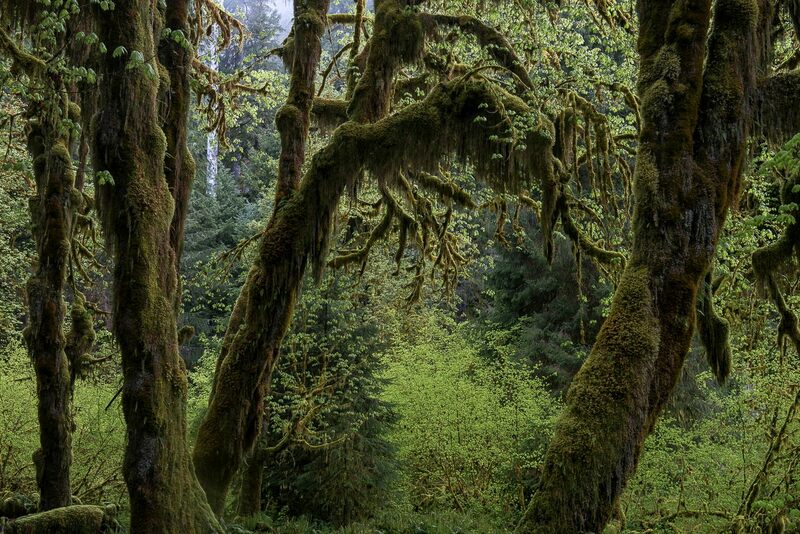 Olympic National park is one of the most remote wilderness places anywhere in the US. 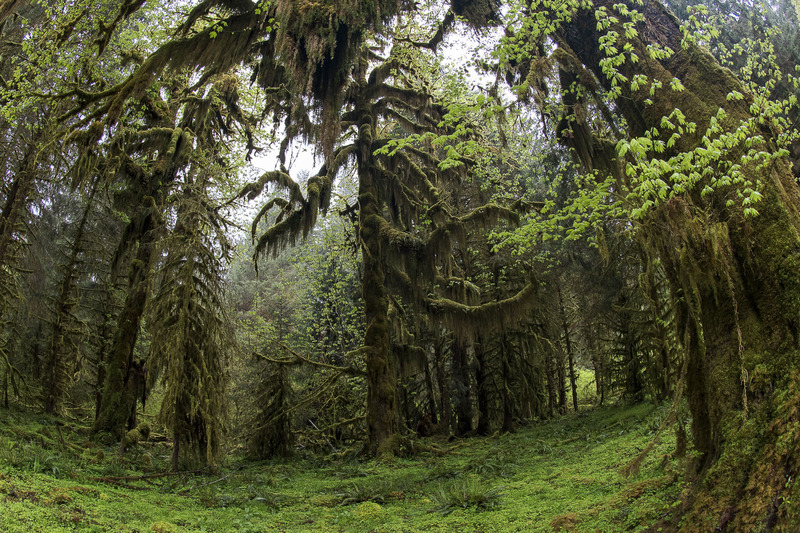 Exceptionnally rainy -on the park’s west side some 12 feet of rainwater falls annually- specific temperature conditions, moss-covered trees, epiphytes plants, towering giant trees as Douglas fir, Red alder, Western hemlock and Sitka spruce, and nurses logs, characterize this unique ecosystem. 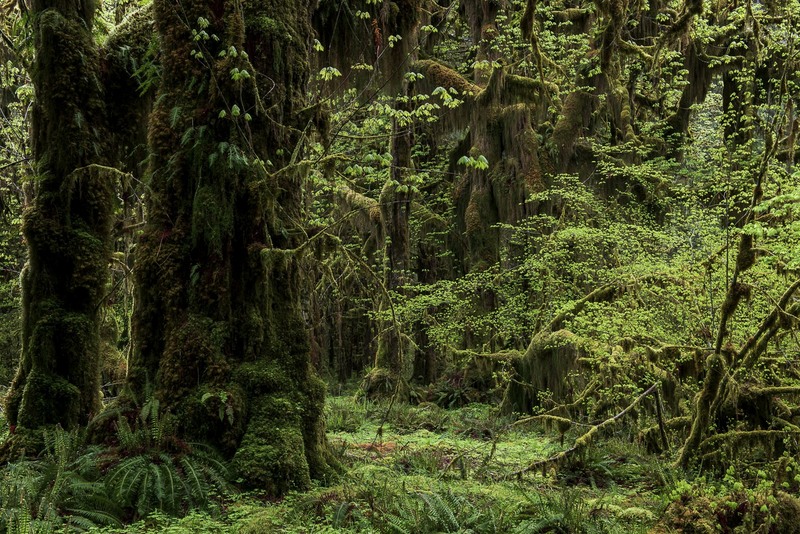 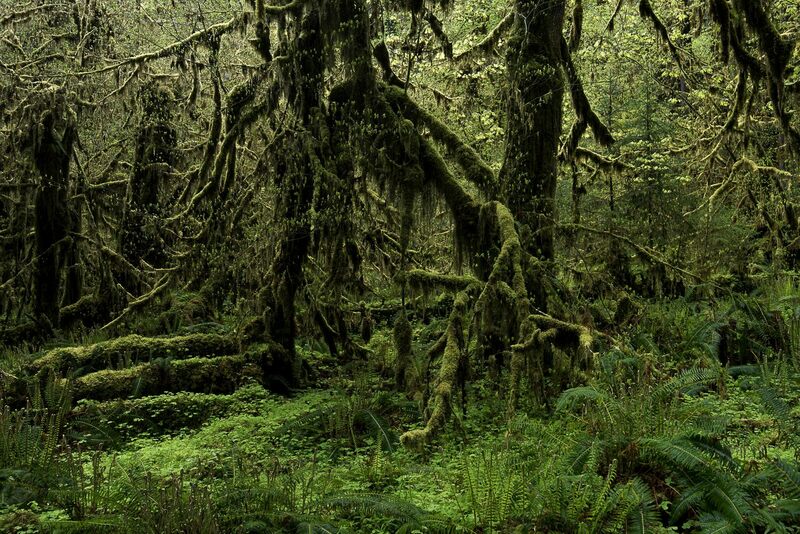 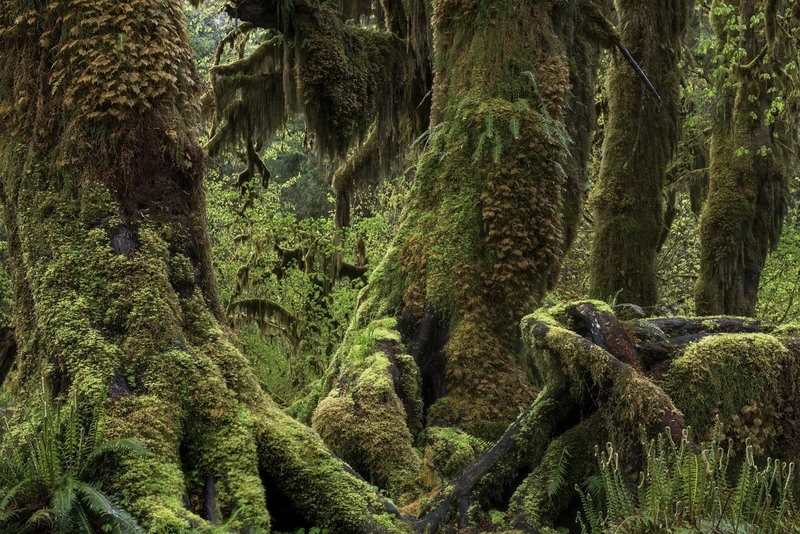 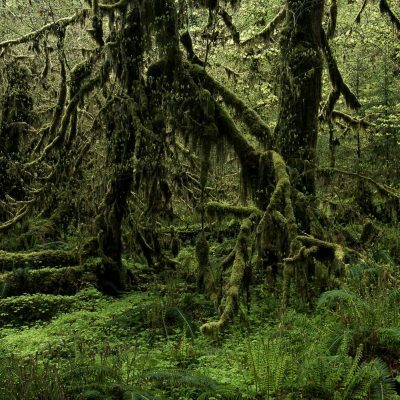 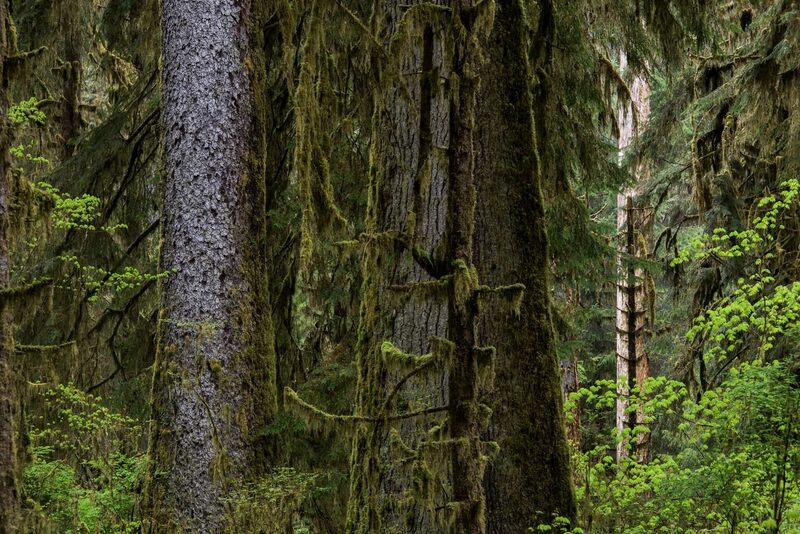 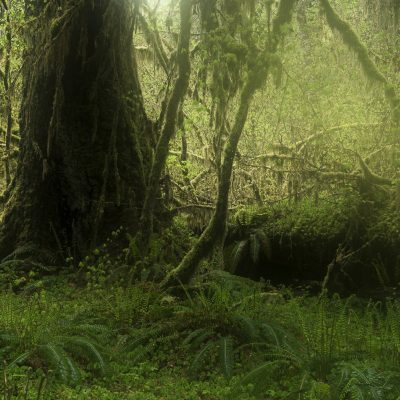 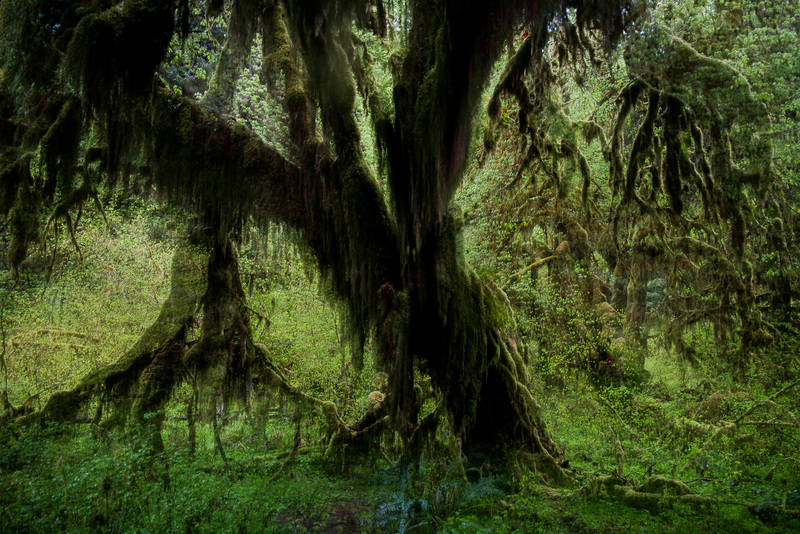 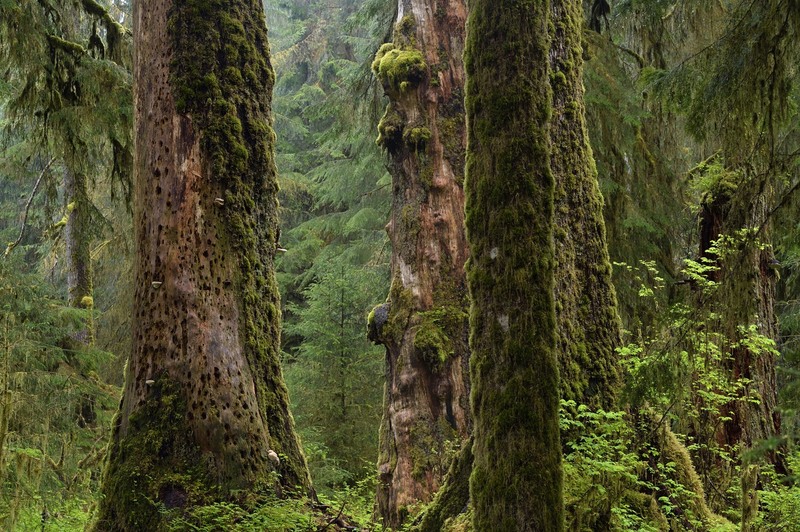 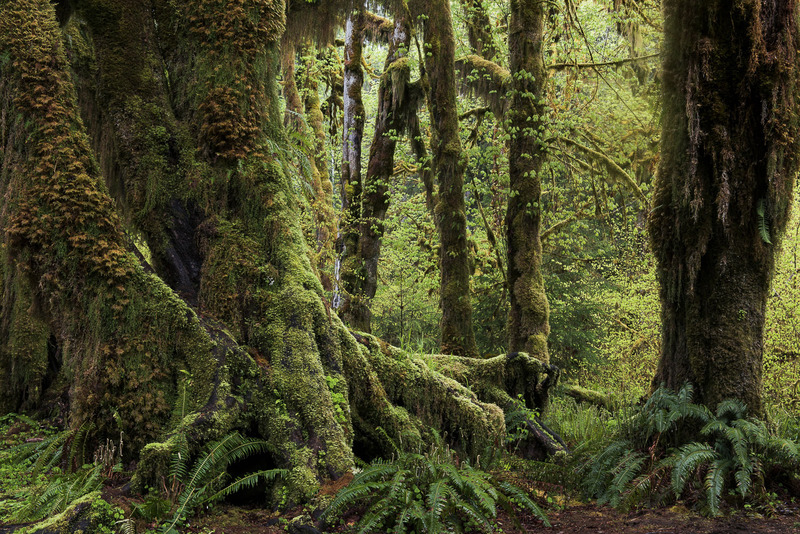 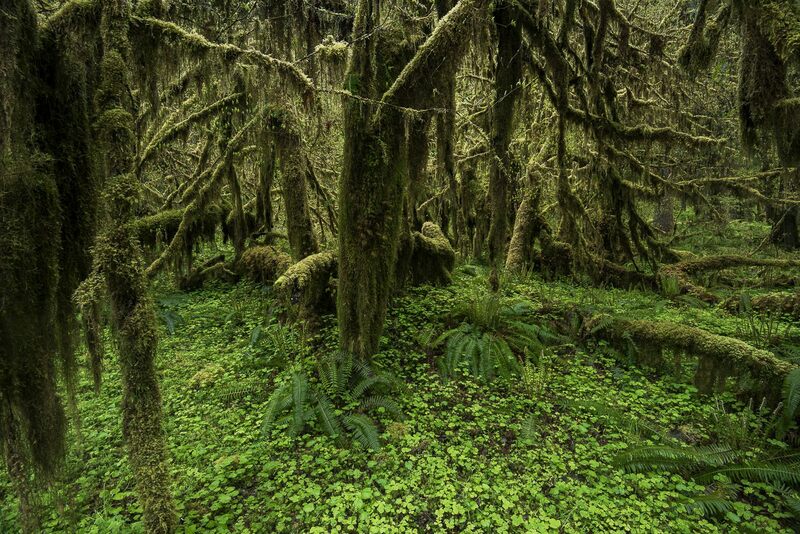 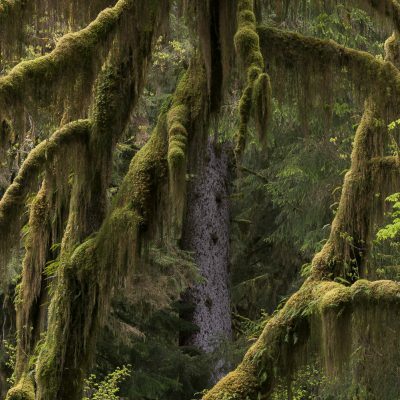 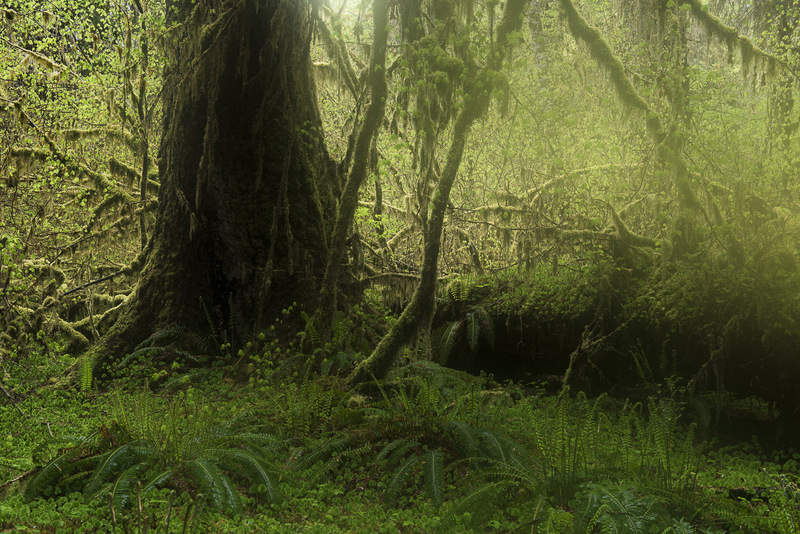 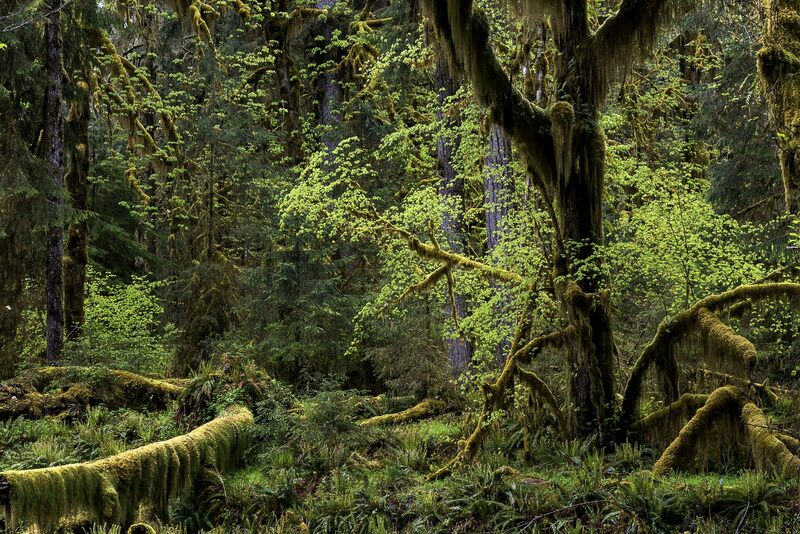 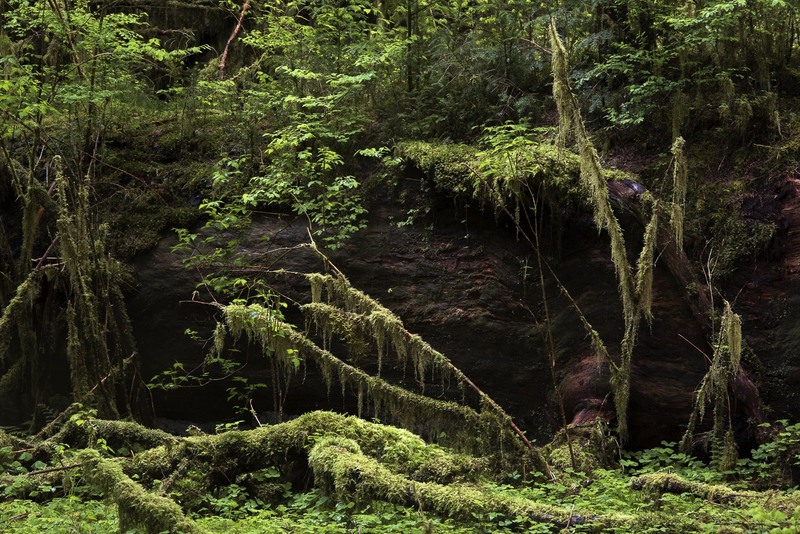 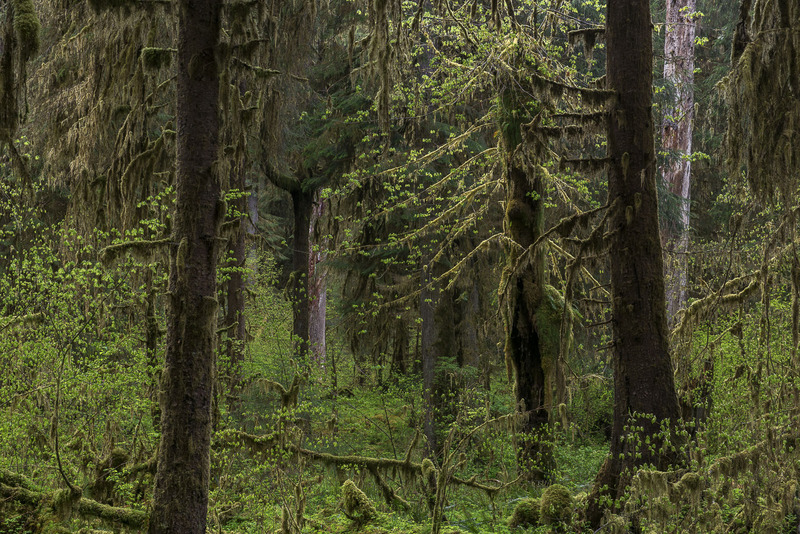 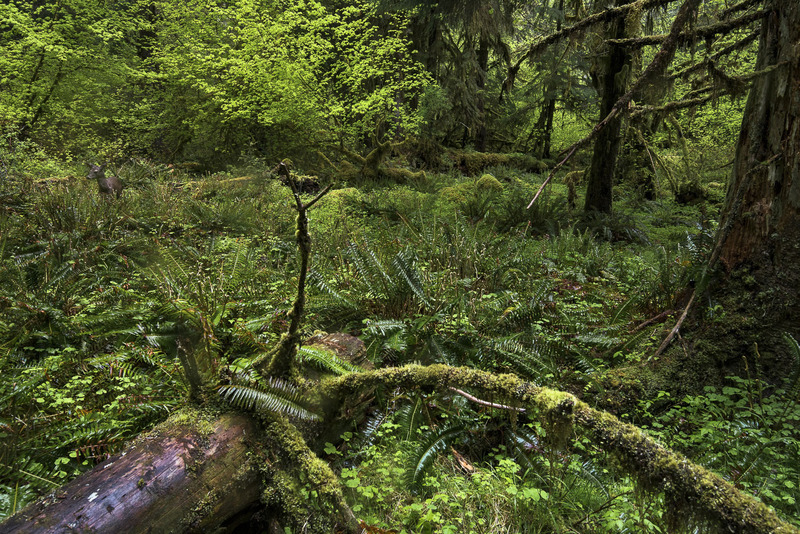 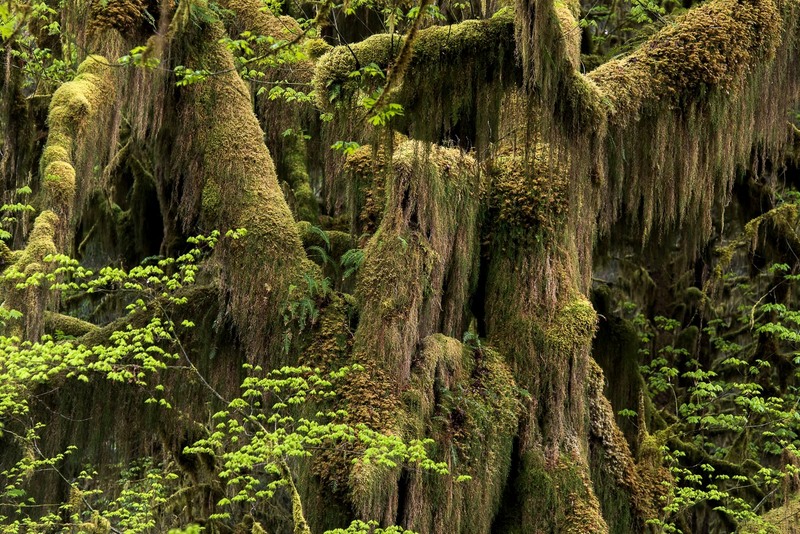 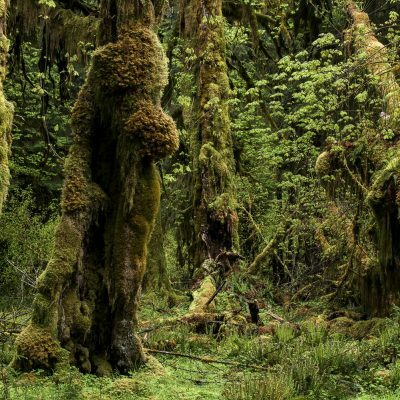 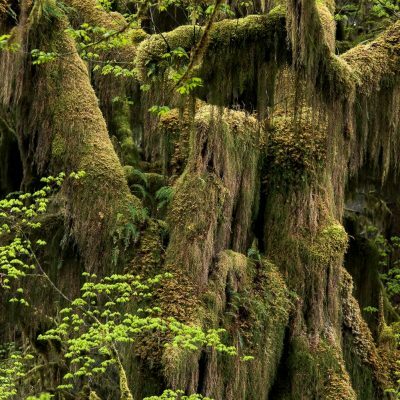 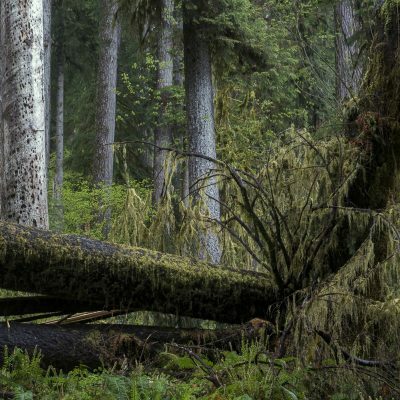 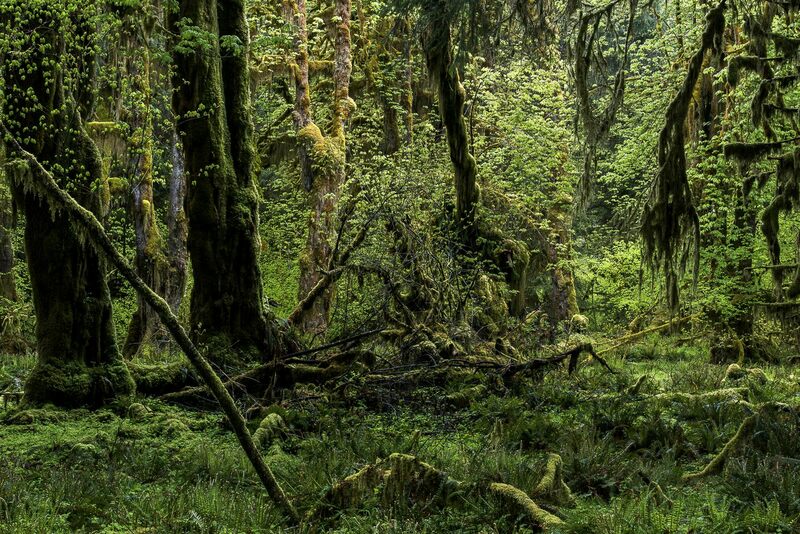 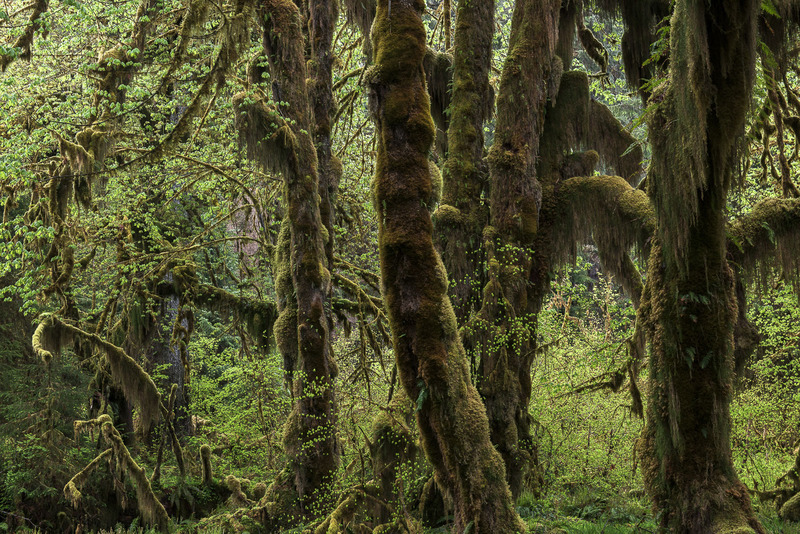 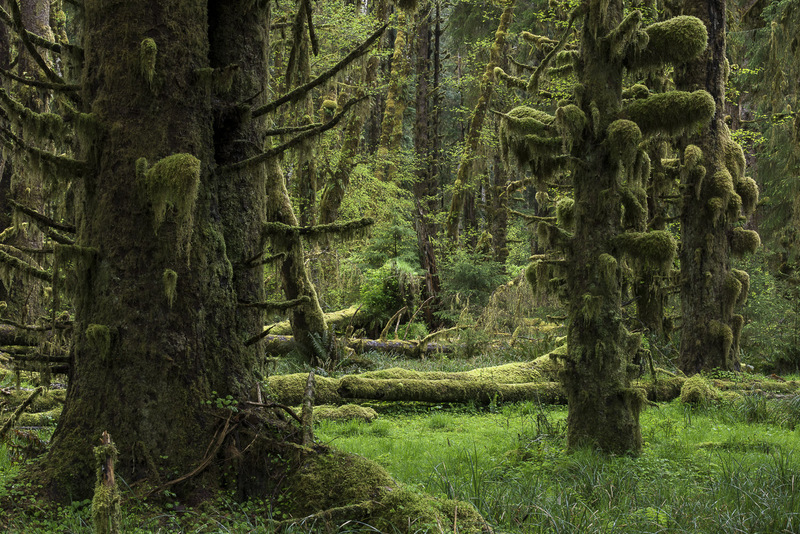 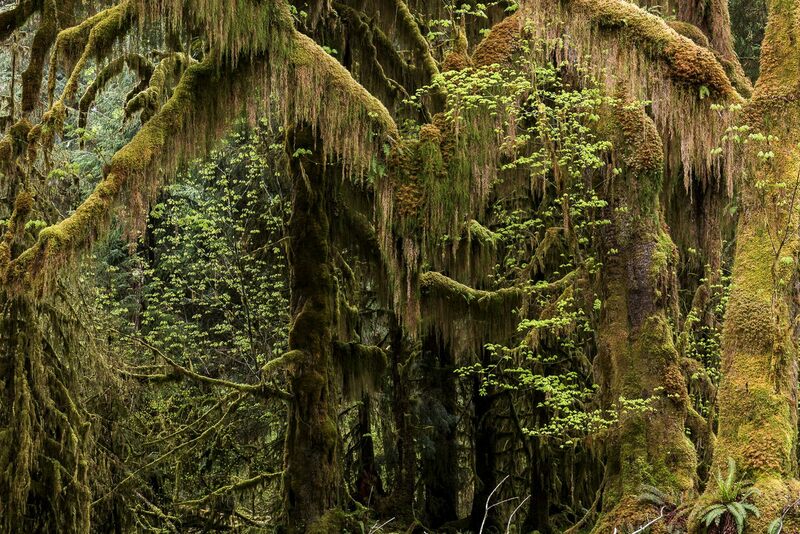 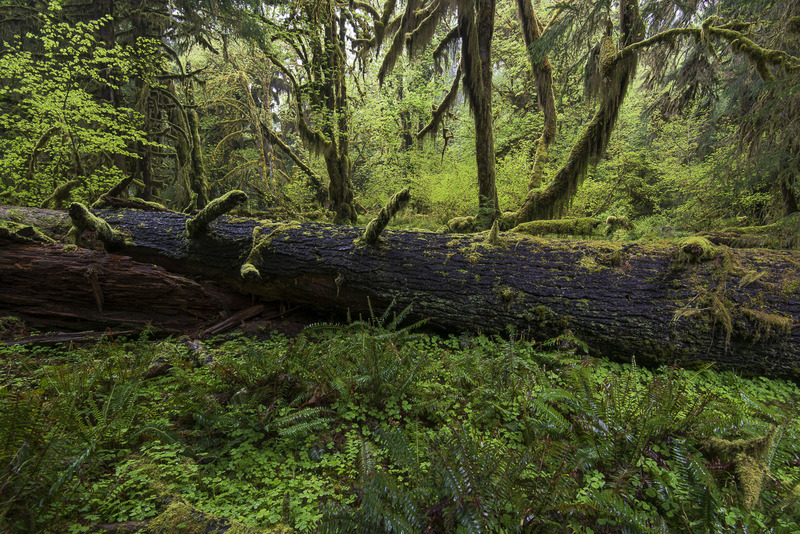 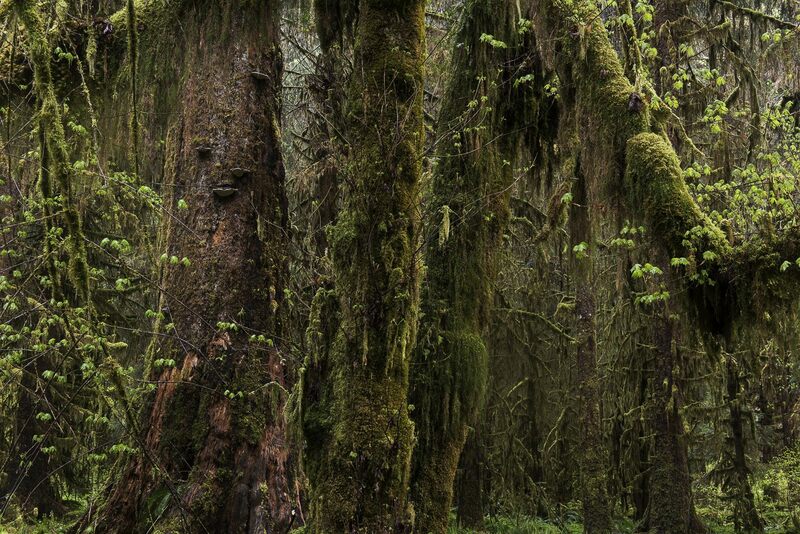 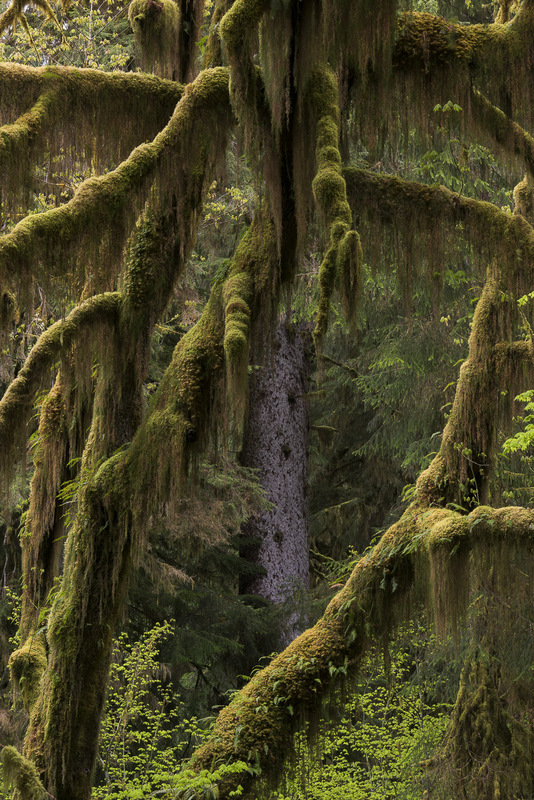 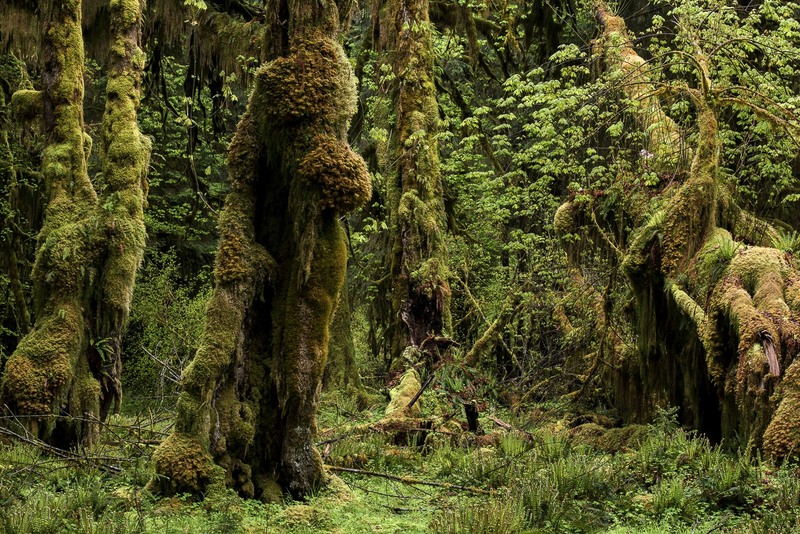 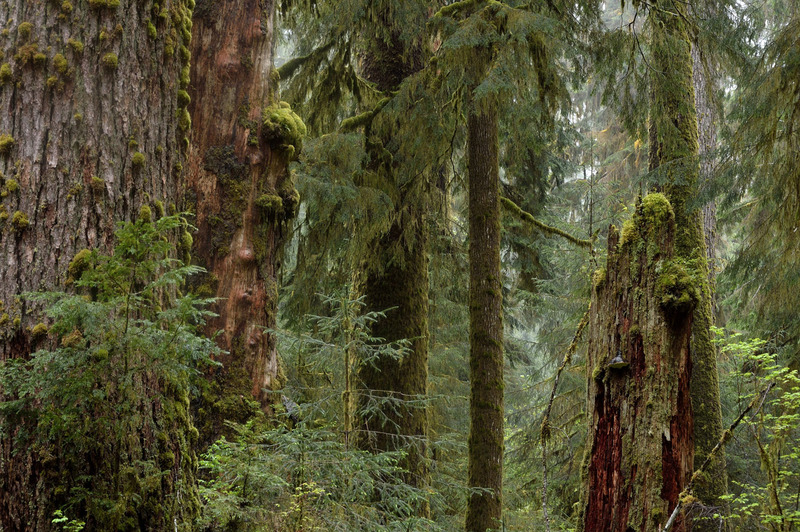 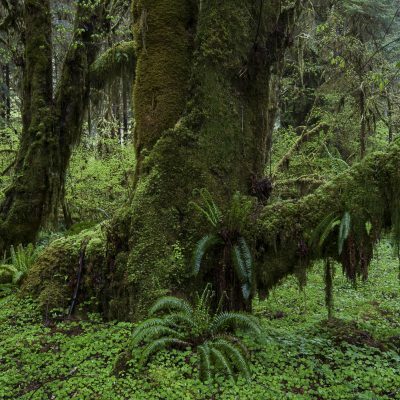 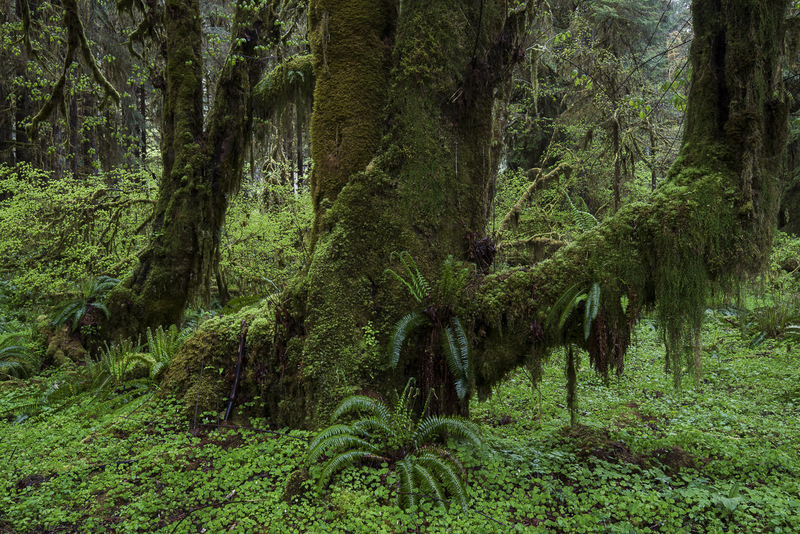 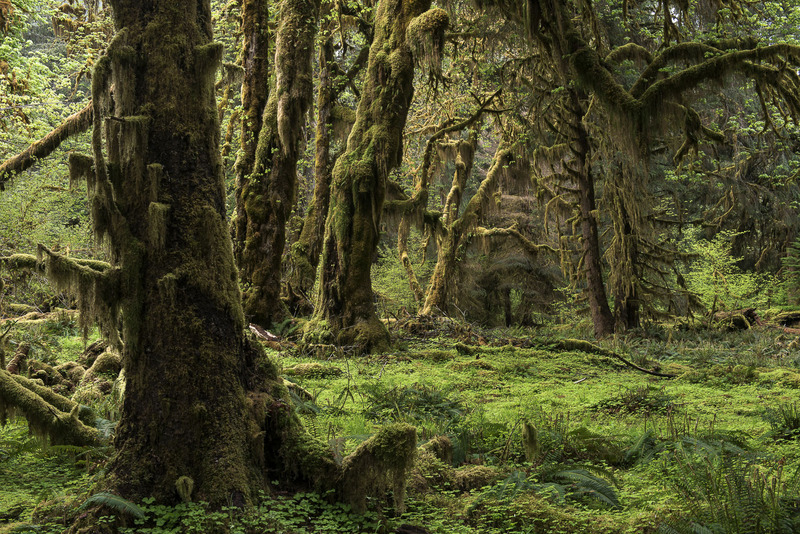 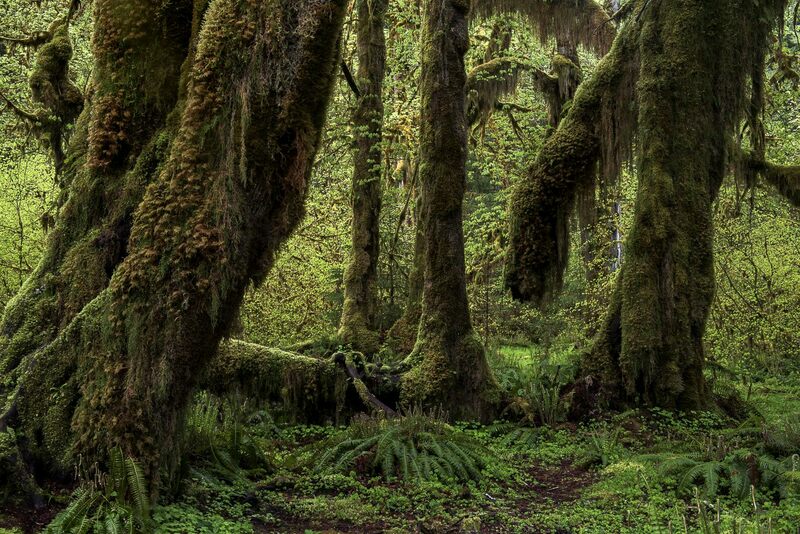 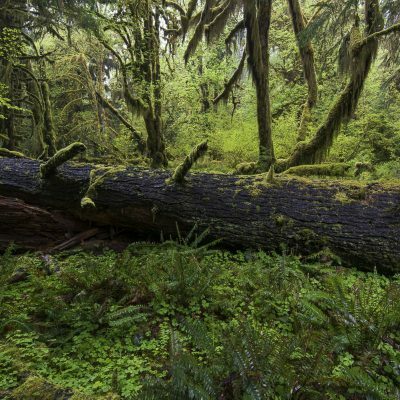 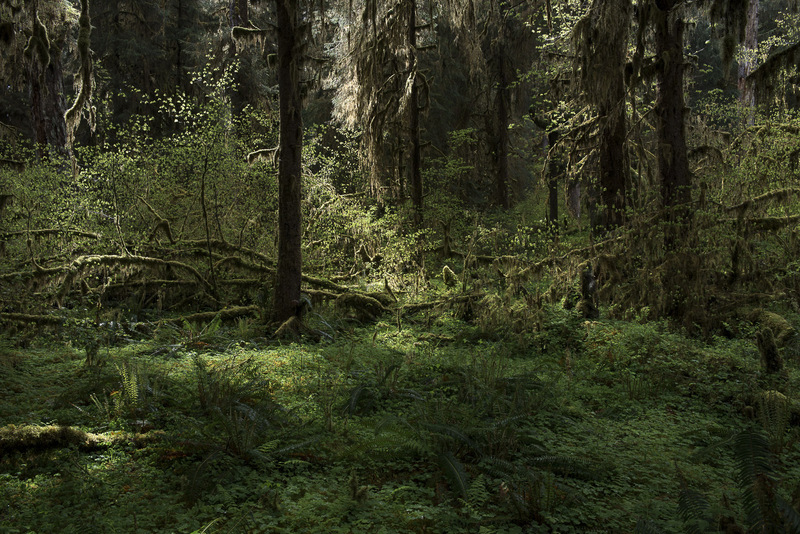 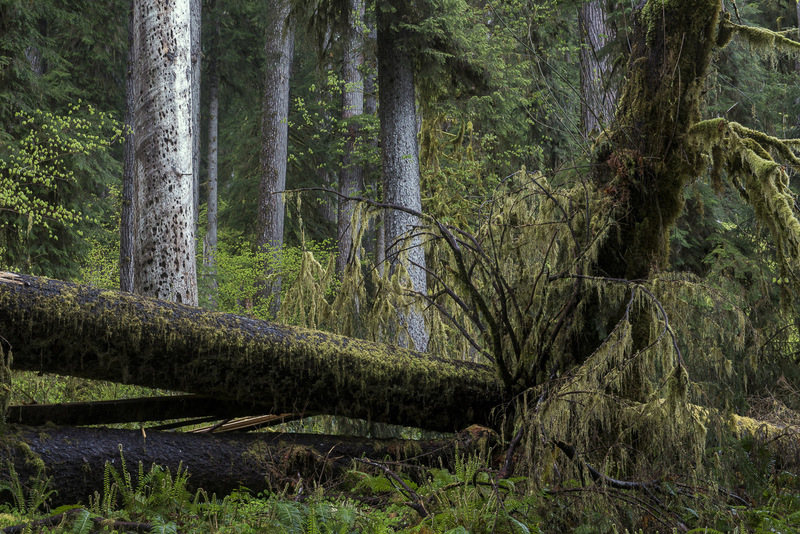 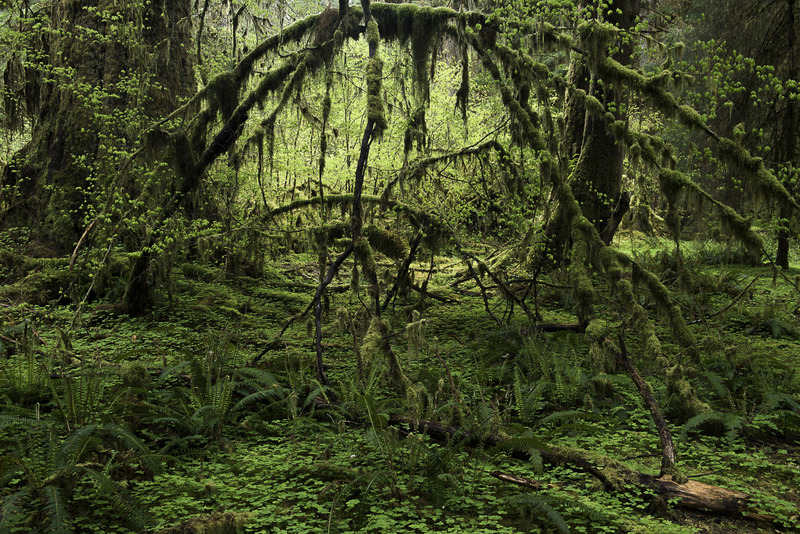 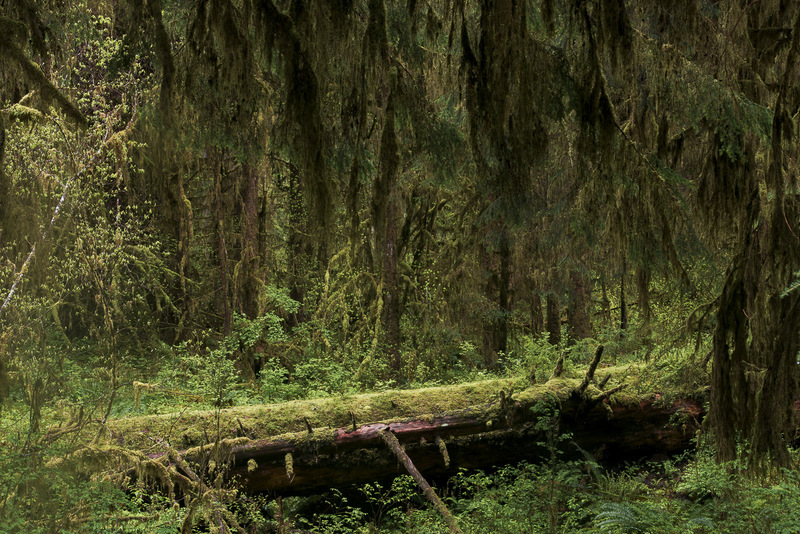 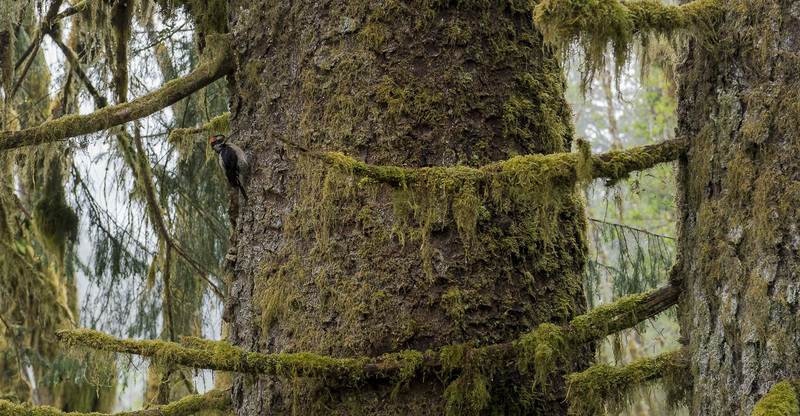 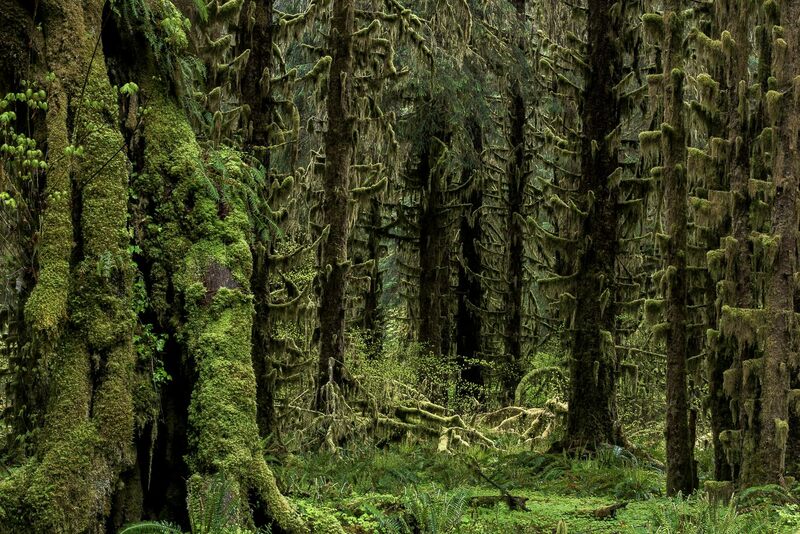 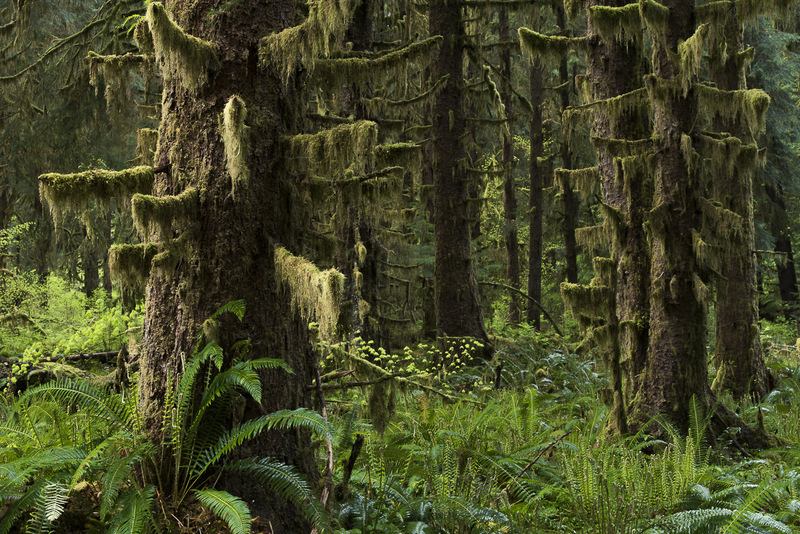 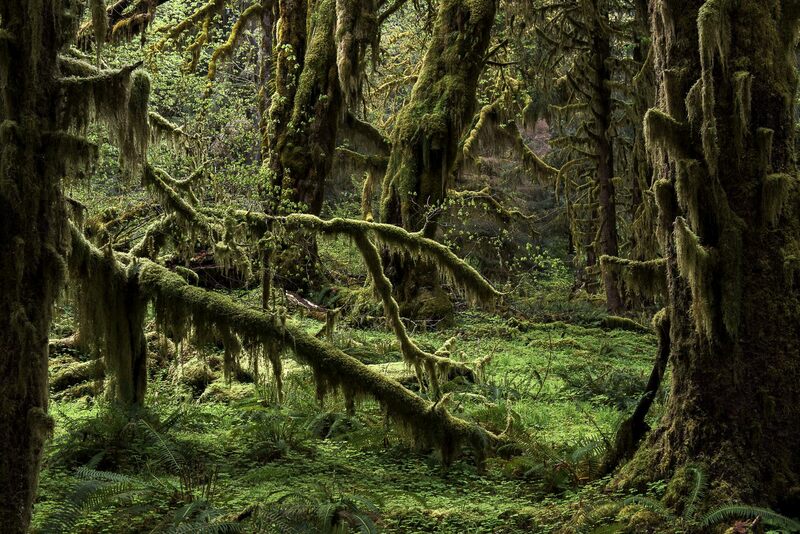 It has been said that the Hoh rainforest has the greatest weight of living matter on earth. 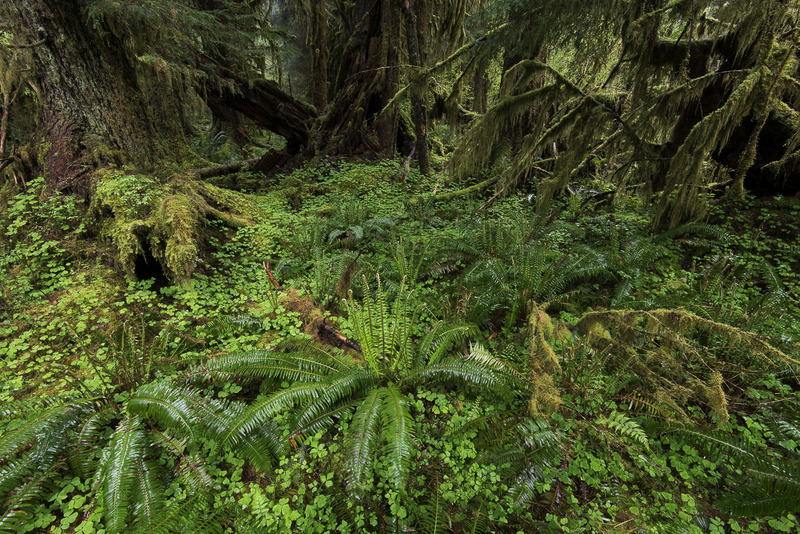 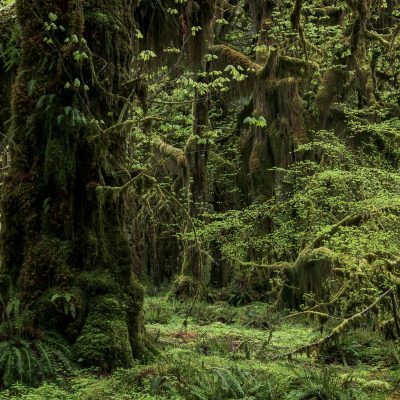 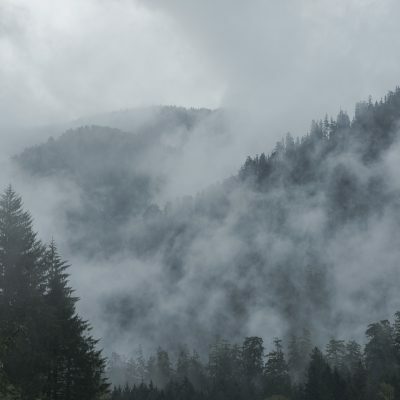 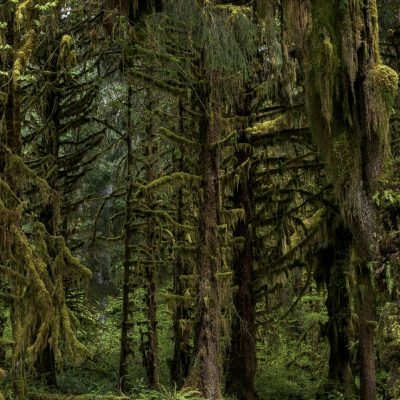 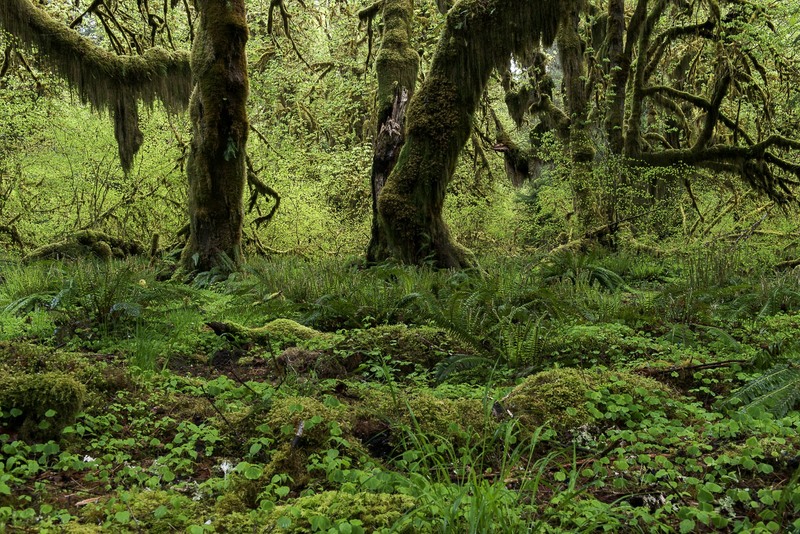 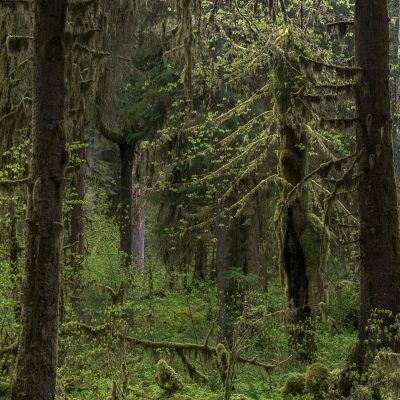 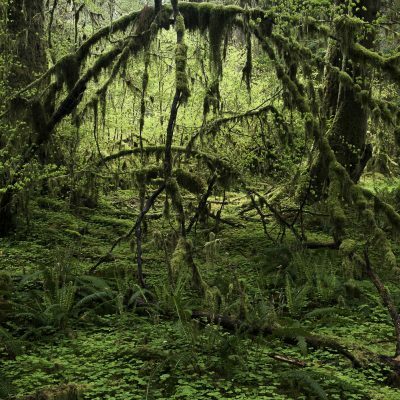 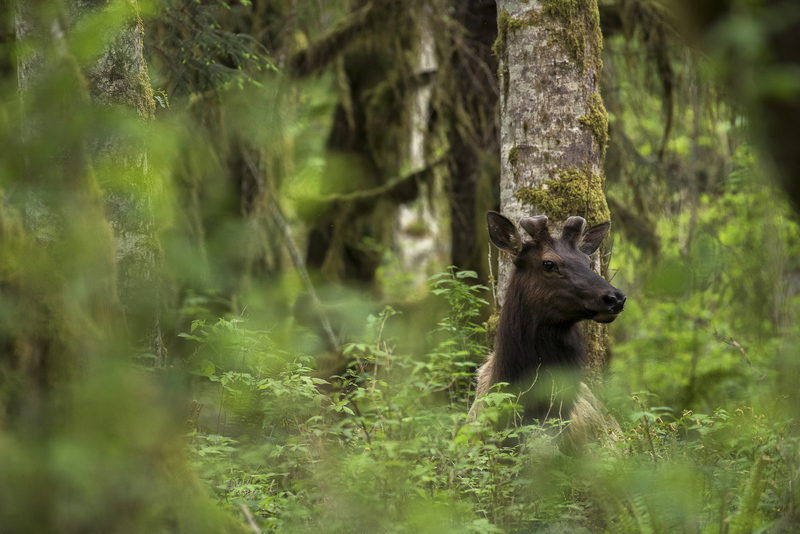 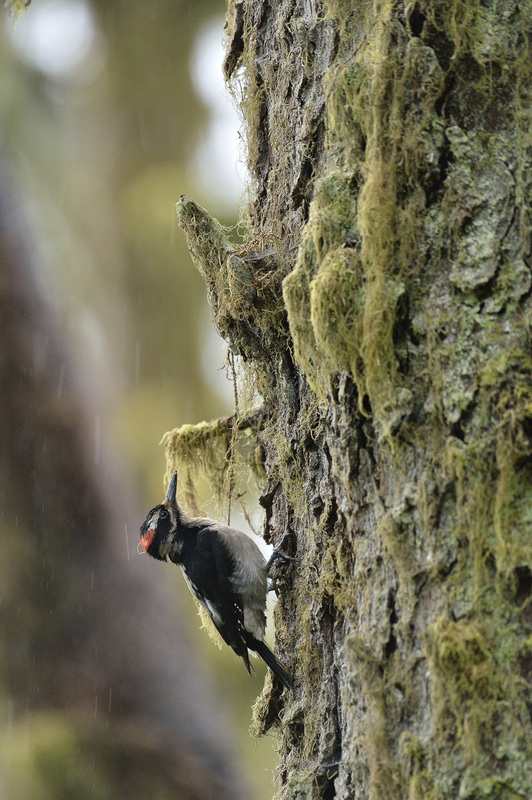 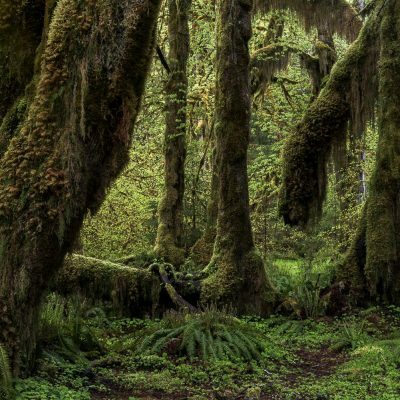 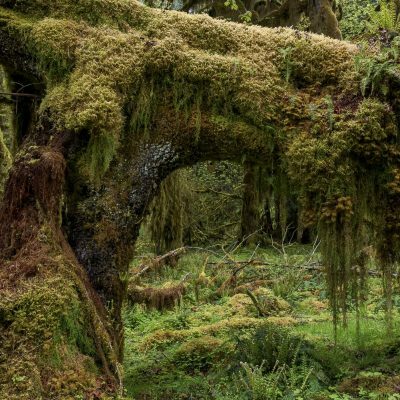 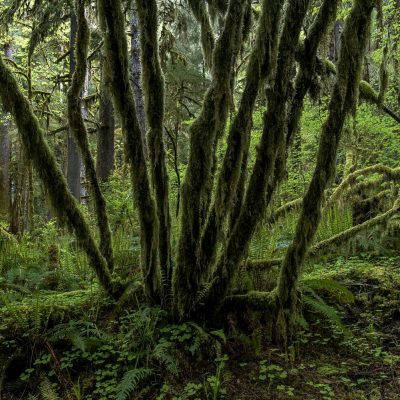 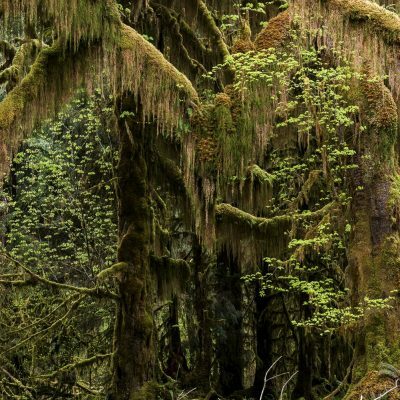 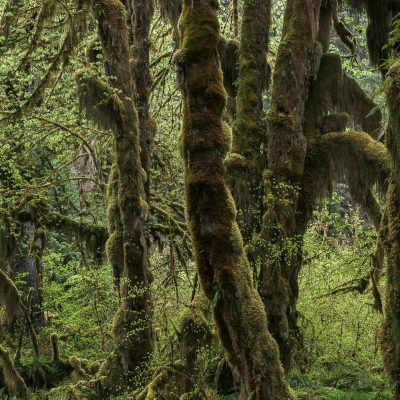 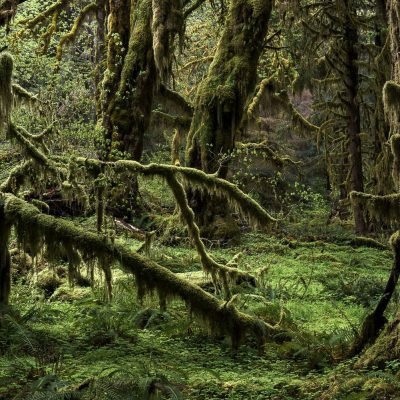 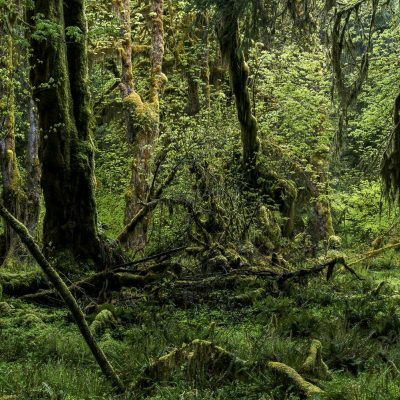 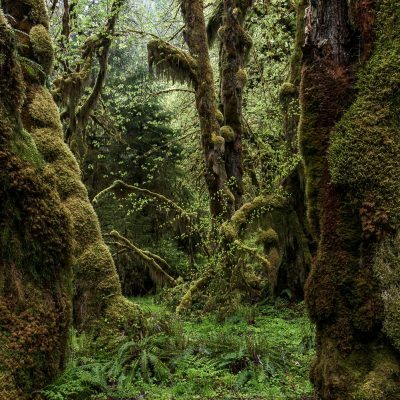 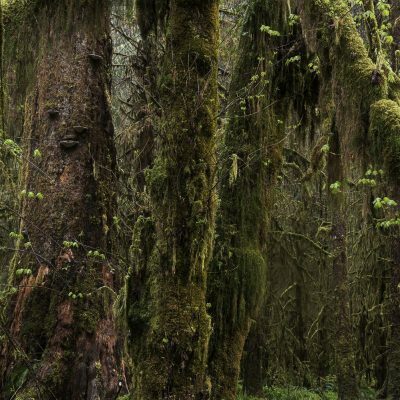 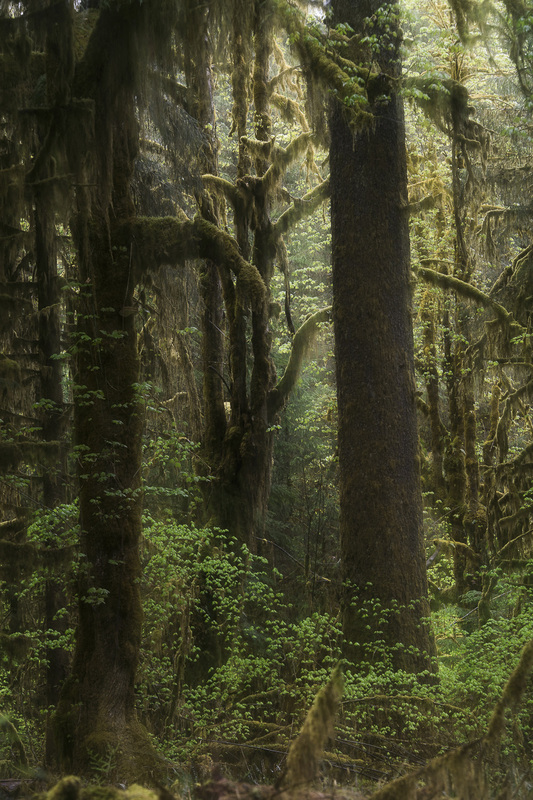 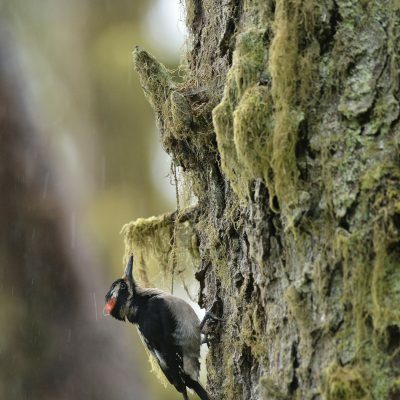 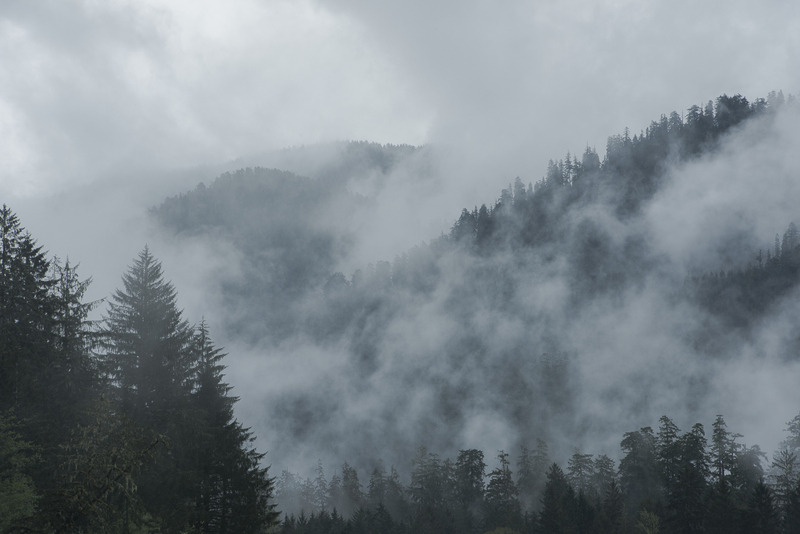 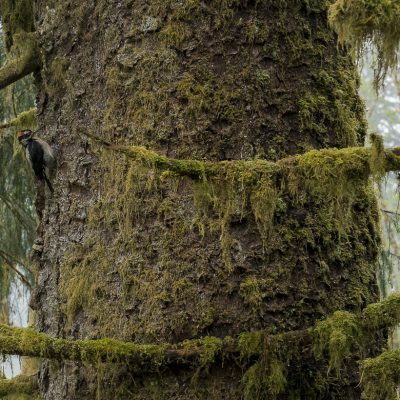 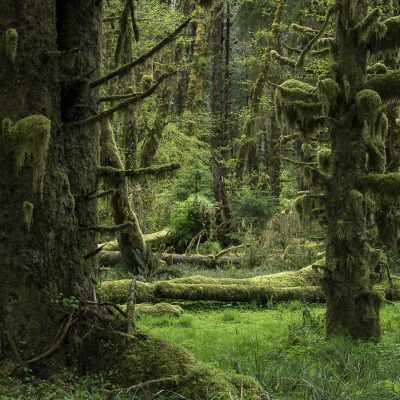 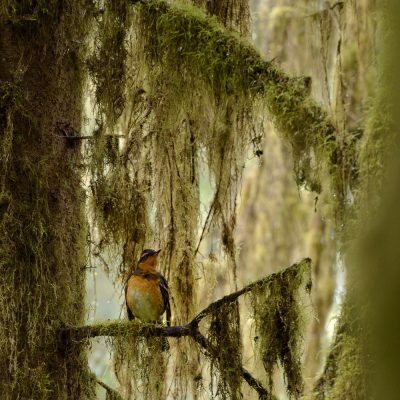 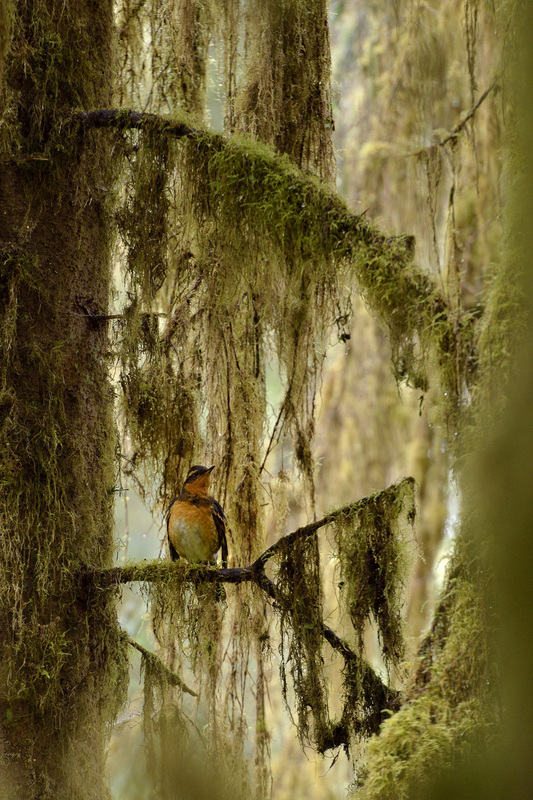 I had the chance to explore some of the world’s best examples of a temperate rainforest, deep in the Bogachiel, Hoh, Queets and Quinault rainforests. 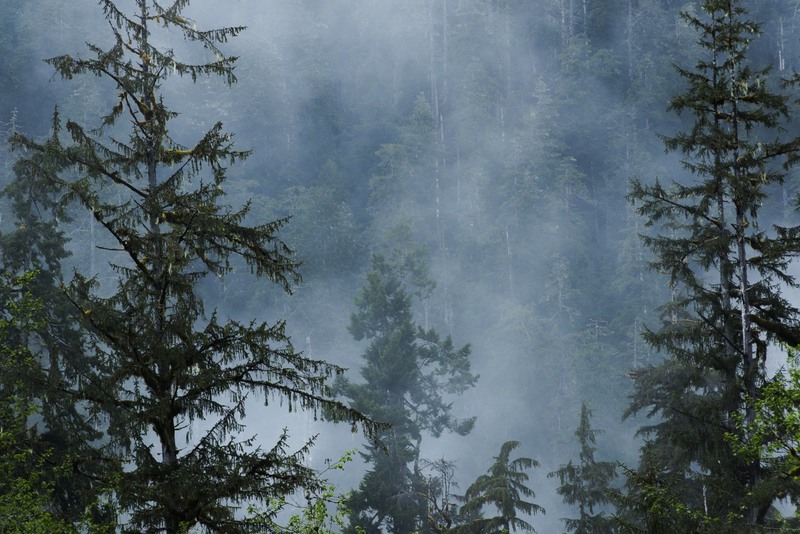 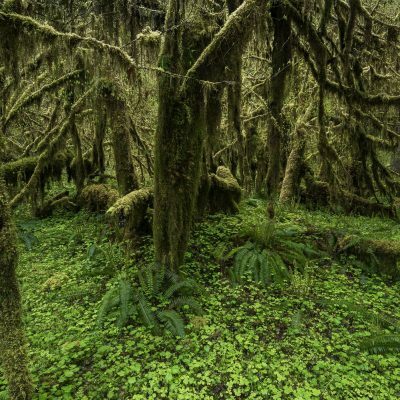 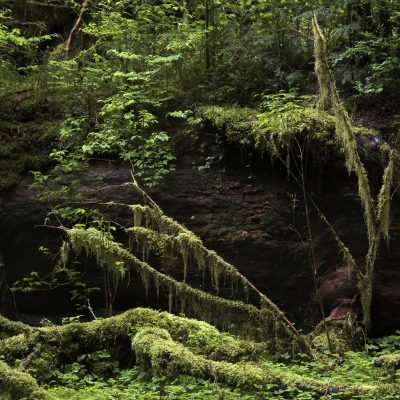 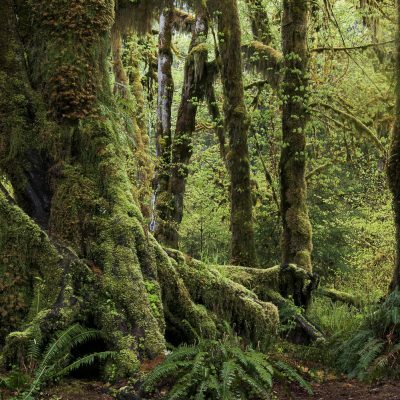 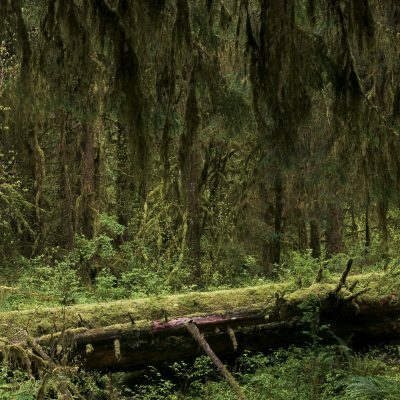 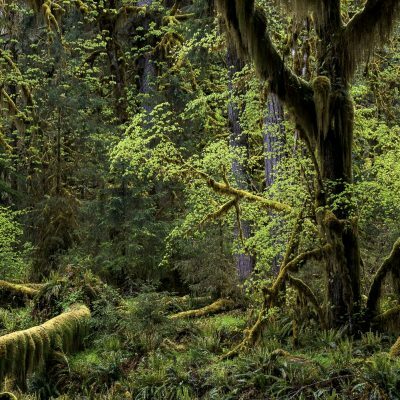 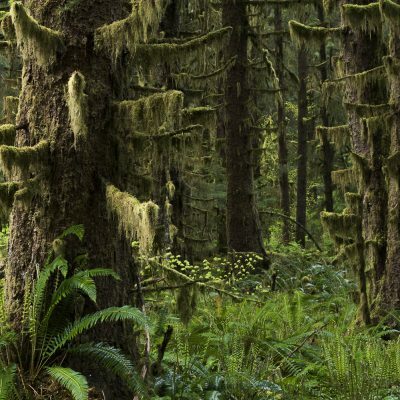 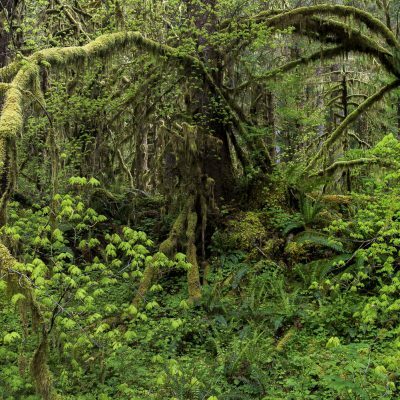 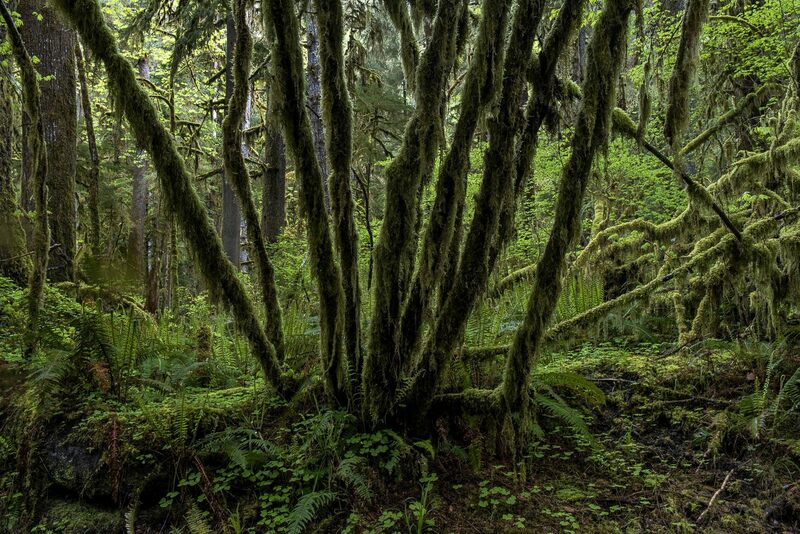 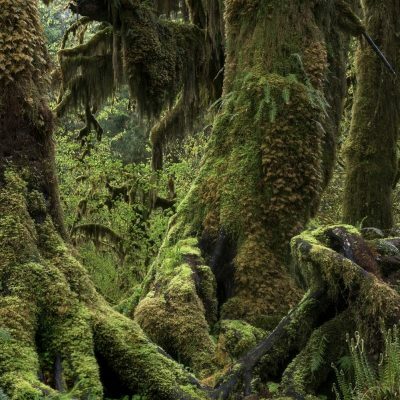 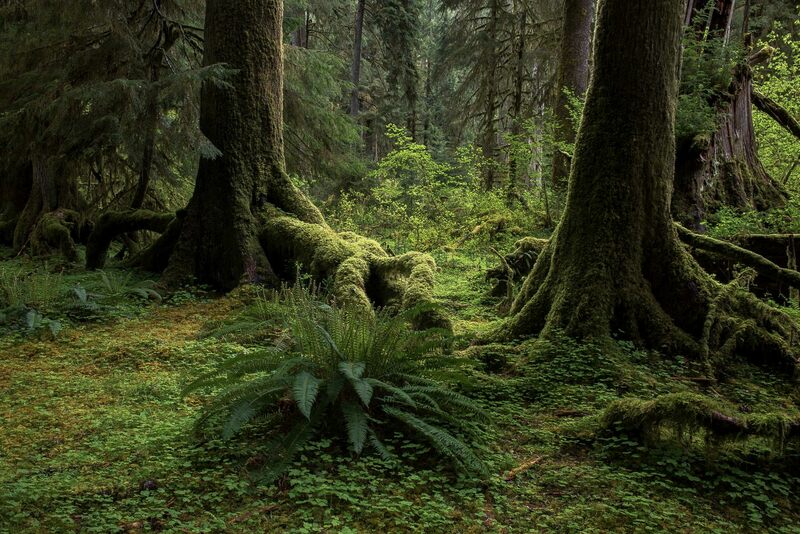 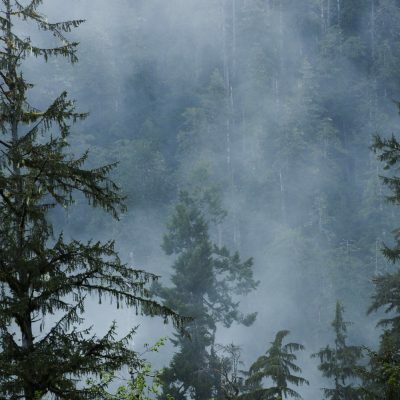 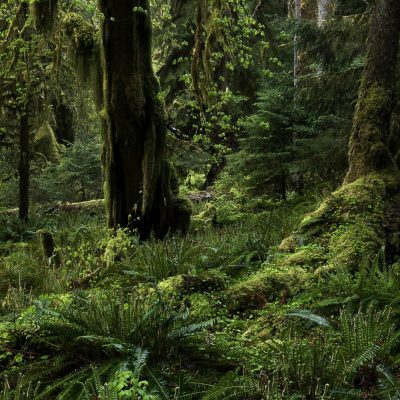 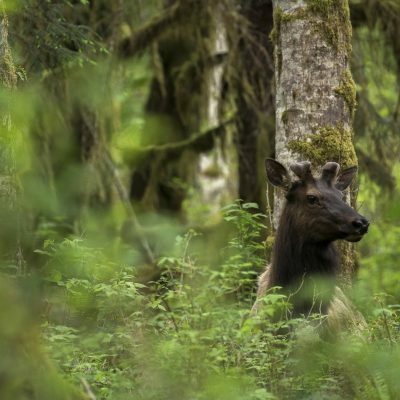 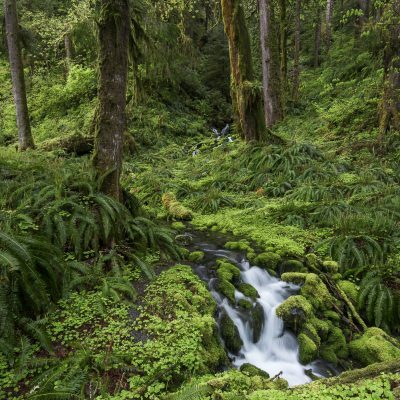 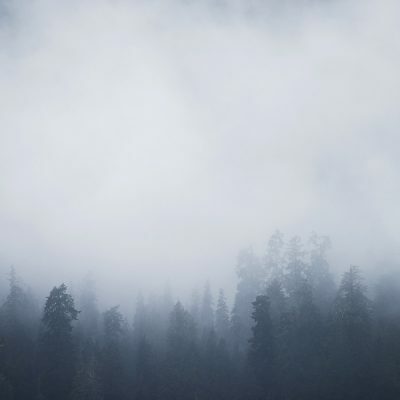 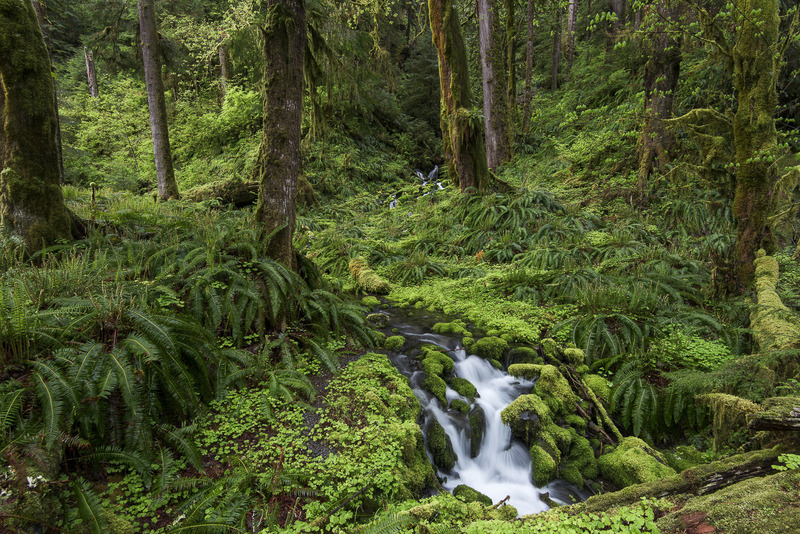 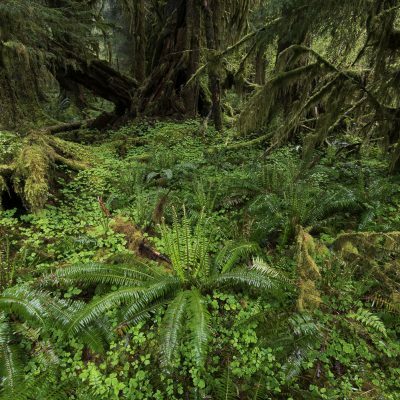 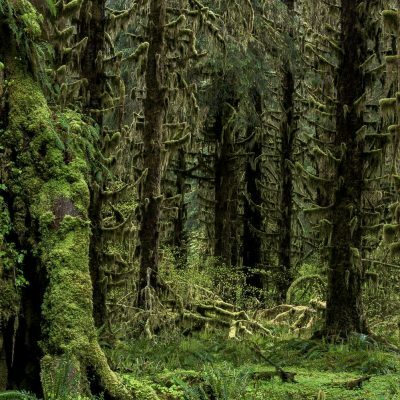 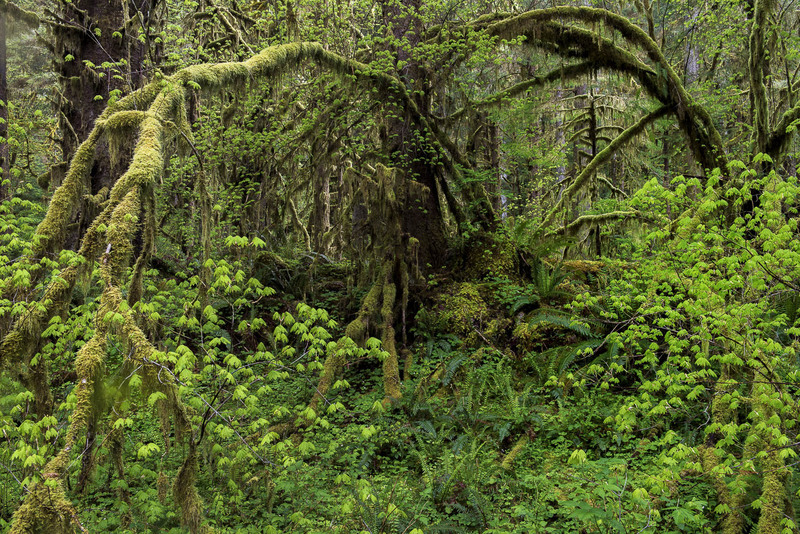 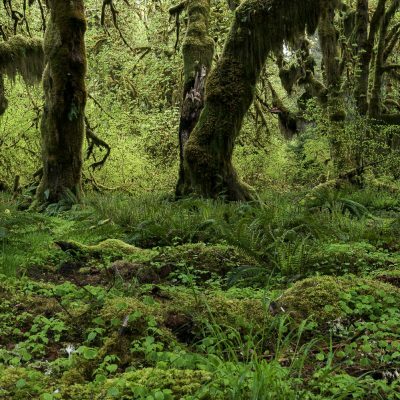 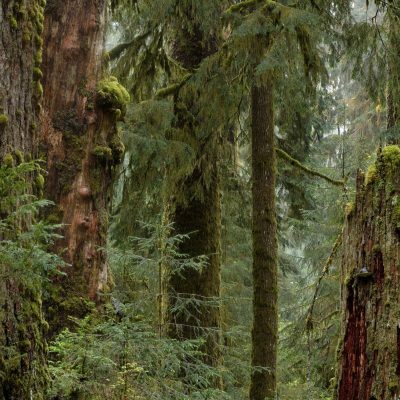 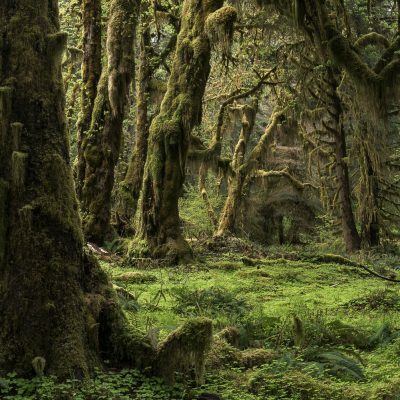 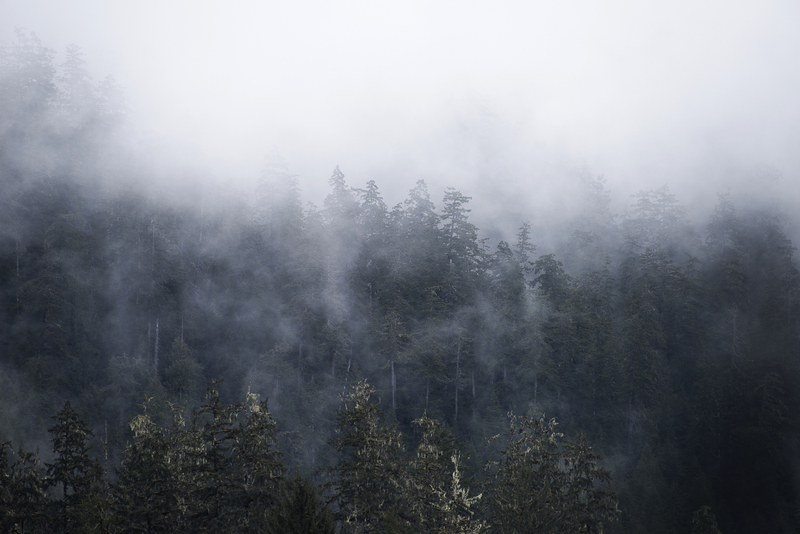 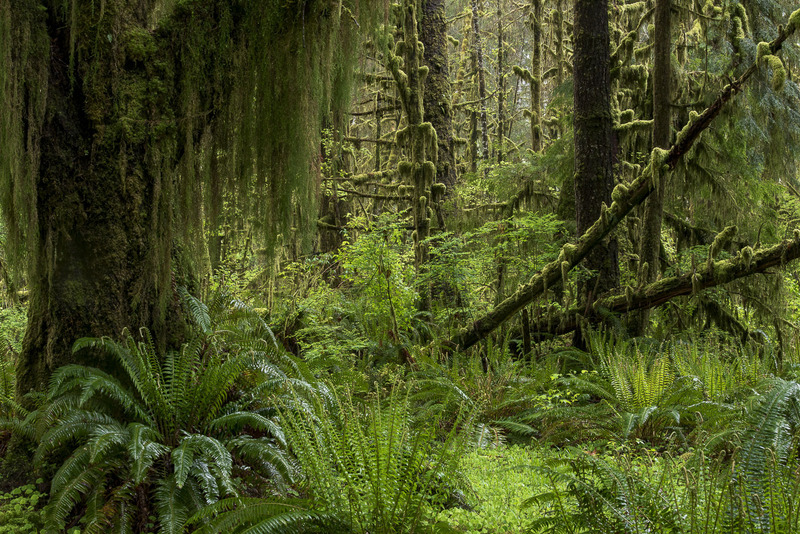 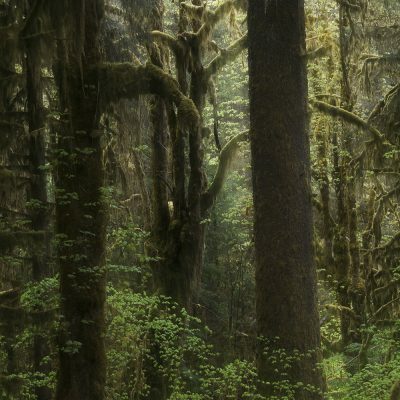 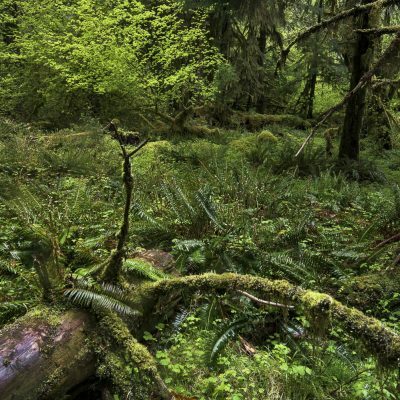 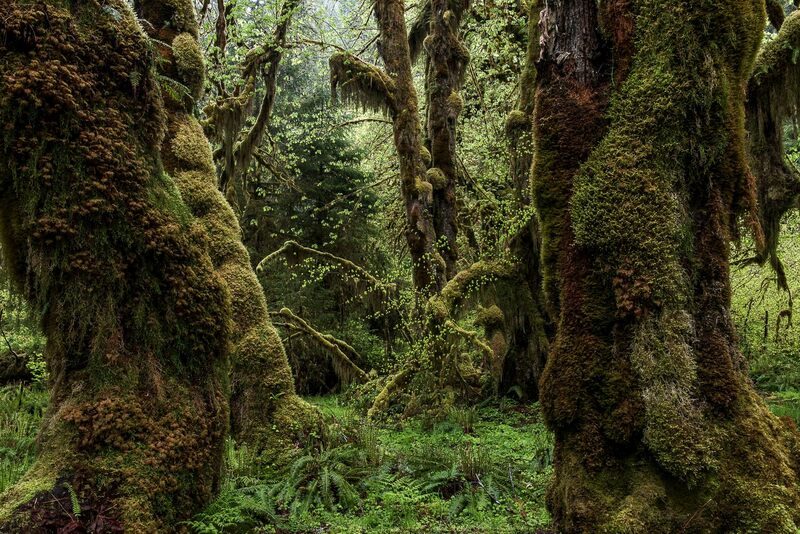 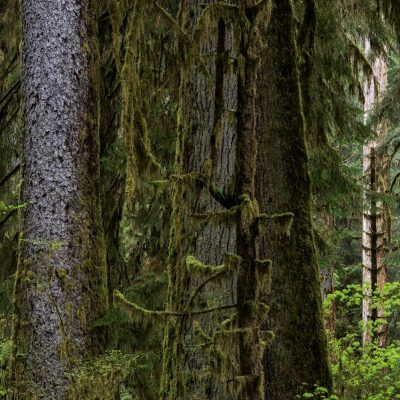 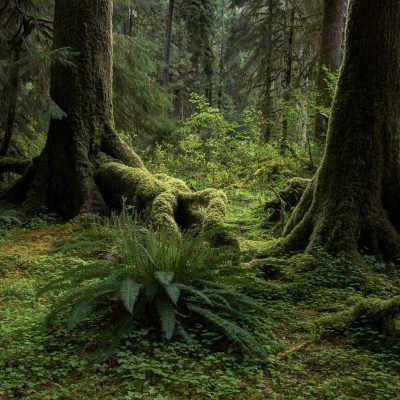 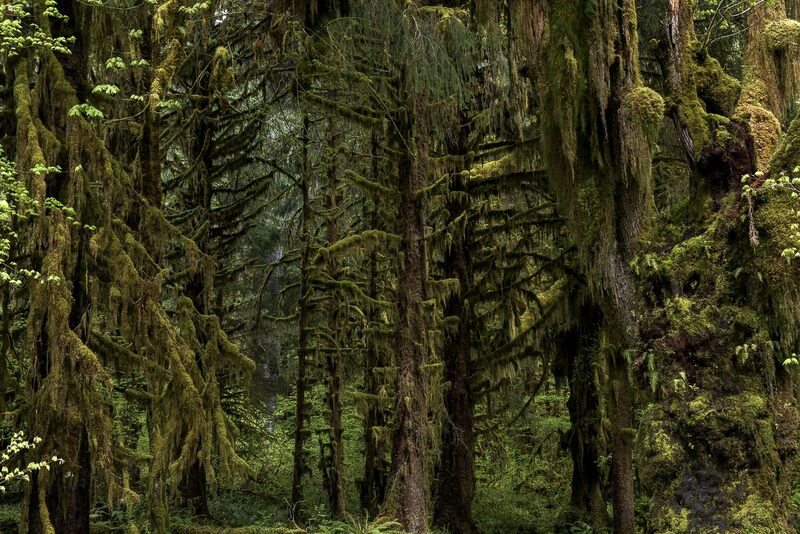 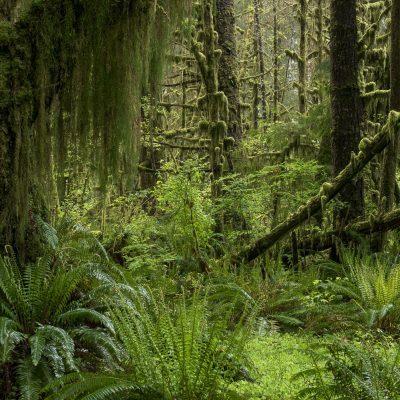 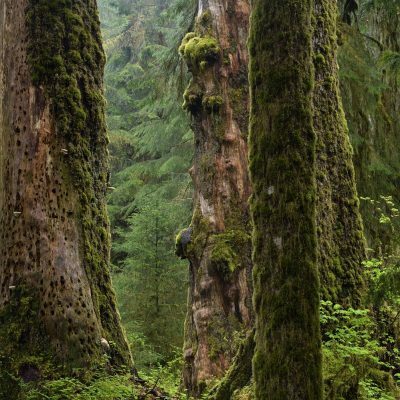 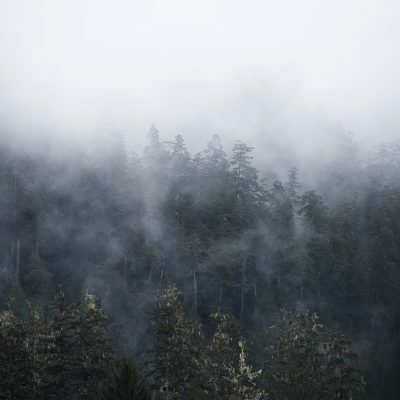 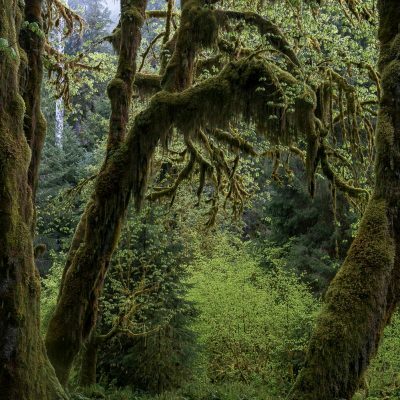 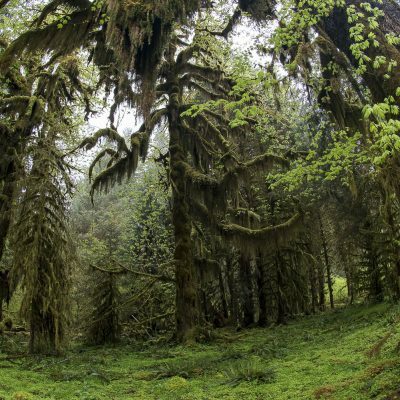 The park’s four rainforests are part of a huge Pacific Northwest rainforest that once stretched from Oregon’s southern coast to southeastern Alaska. 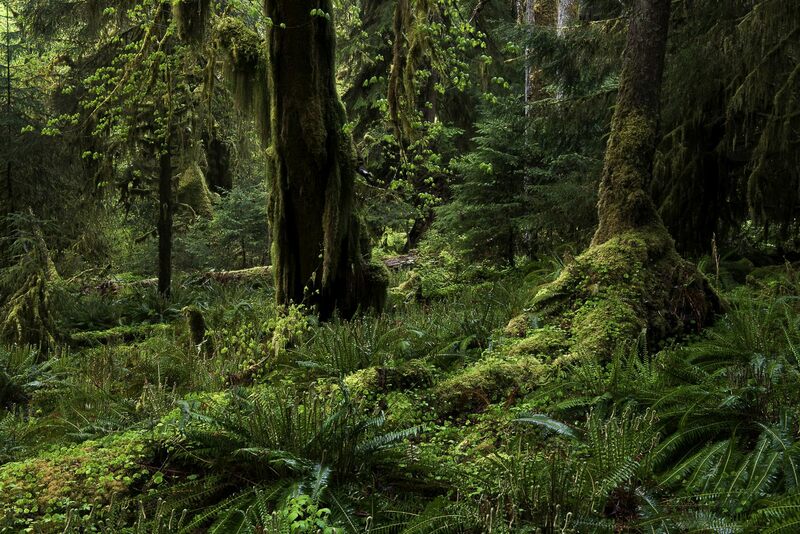 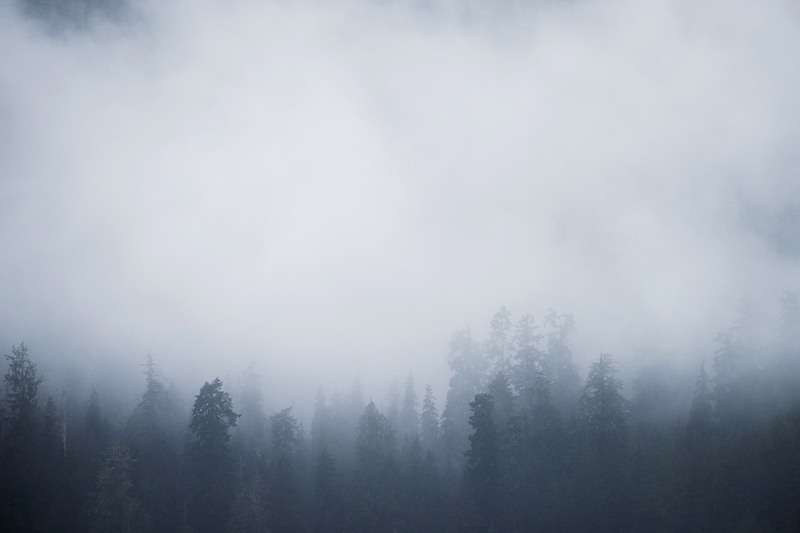 Because of development, very few temperate rainforests exist along this stretch today and only few pockets in the rest of the World. 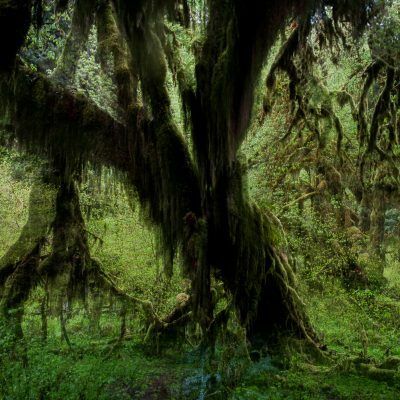 In the era of Anthropocena, the natural world tends to be apprehended through the prism of environmental issues and of something that gradually becomes a struggle to protect. 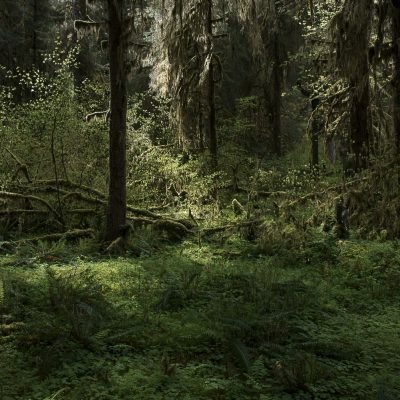 And as tropical forests are disapearing at a dramatic rate and in Europe a real primeval forest is now only a memory, may these images, tributes as they are to the primordial feelings that can only come from a place expressing itself in all its original naturalness, give us some viewpoints from which we may ask ourselves the question about the relationship of our societies with our, and the rest of the world's, Nature. 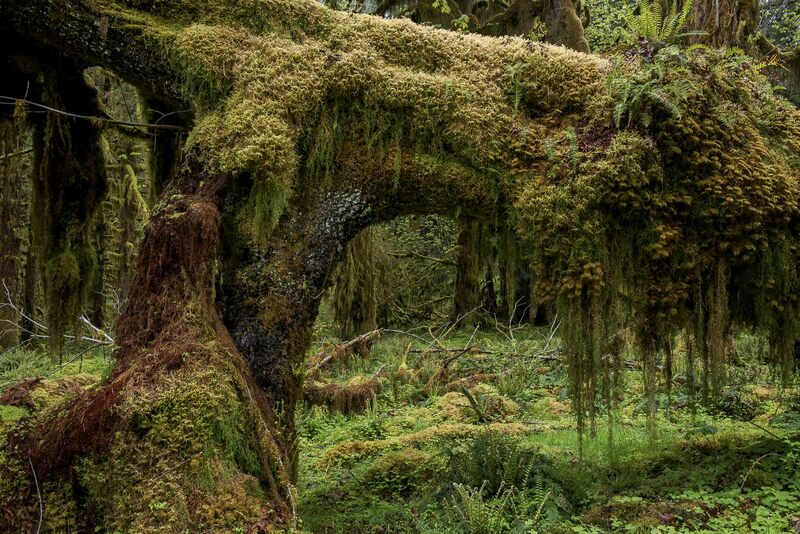 So please, do take a moment for a visual immersion into the lush, misty, unique, rainy, soaked, Pacific Northwest rainforest.